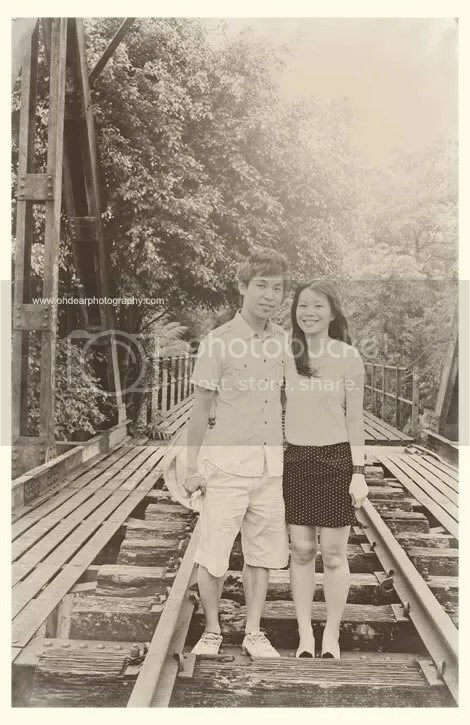 Aylwin ♥ Yuhan ‘s Vintage Engagement 88miles/hr! 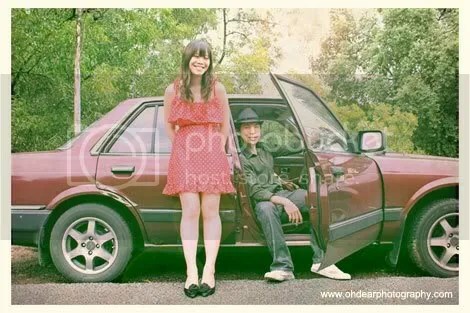 Aylwin & Yuhan own a vintage Honda Accord that’s older then me. Ahh I love old cars, there’s just something beautiful and rustic about them. So, we went to this scary train railway that’s about 7 or 8 storey high. Sure it’s gorgeous and windy up there with the river spread out like a map. But I was scare like hell! My knees were shaking half the time. Haha. 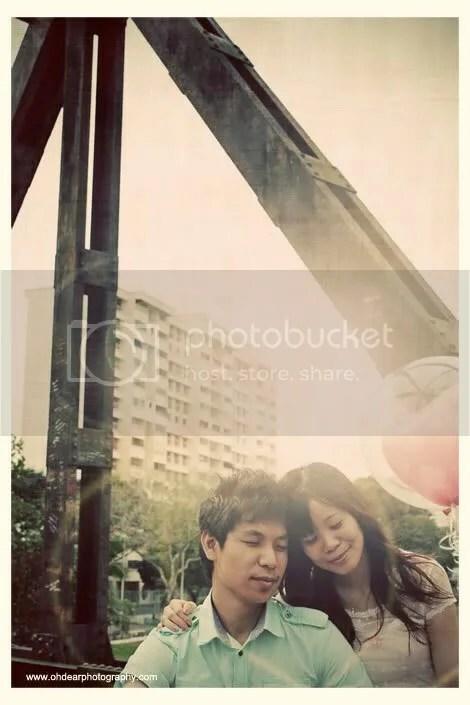 Here’s one vintage engagement shoot that I hope you guys would like! Initially they weren’t driving this vintage honda, but a newer car. 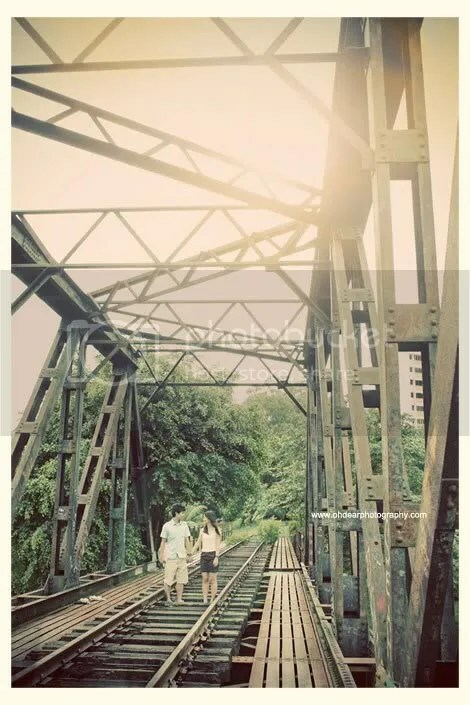 After shooting at the railway track, Yuhan was suggesting going back to their place to change.. So as we were turning into the carpark, this gorgeous deep red vintage-baby caught my eyes immediately. I went into stunned silence for a while. My mind was racing at 88miles/hr at how I can incorporate this gorgeous toy into the shoot and I begged them to drive the older car instead..
More of this lovely series on Oh,Dear! Facebook ! 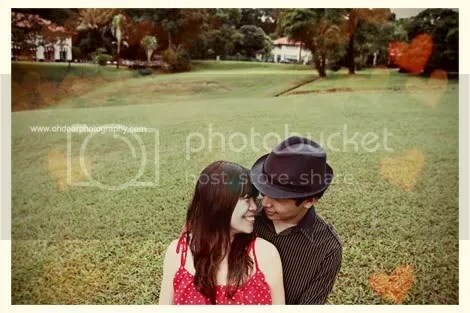 This entry was posted on June 10, 2010 by ohdearphotography. It was filed under Engagements .